After returning to Perth I had a decision to make – where to next? 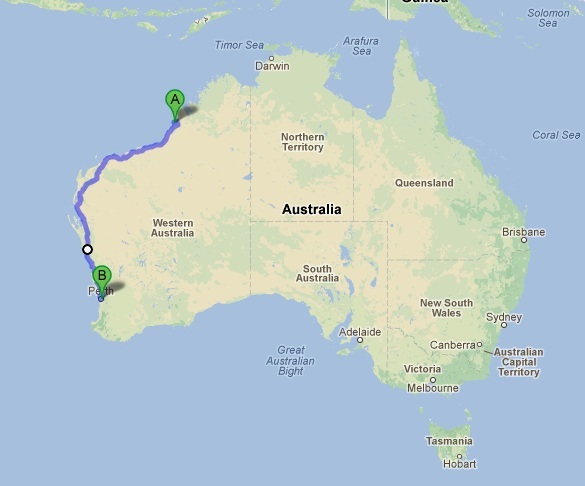 There really only remained on major part of Australia that I have yet to see. The East Coast. Actually the most populated and popular tourist area of Australia, I still had not seen a lick of the famous Sydney to Cairns stretch. I decided that would be my next destination, but before then I had a few days in Perth to kill. I grabbed my shoes and headed West. So you are up in Broome, middle of nowhere. Where do you go next? Some people continue on into even REMOTER areas (hard to believe!) as they travel towards Darwin or Alice Springs. 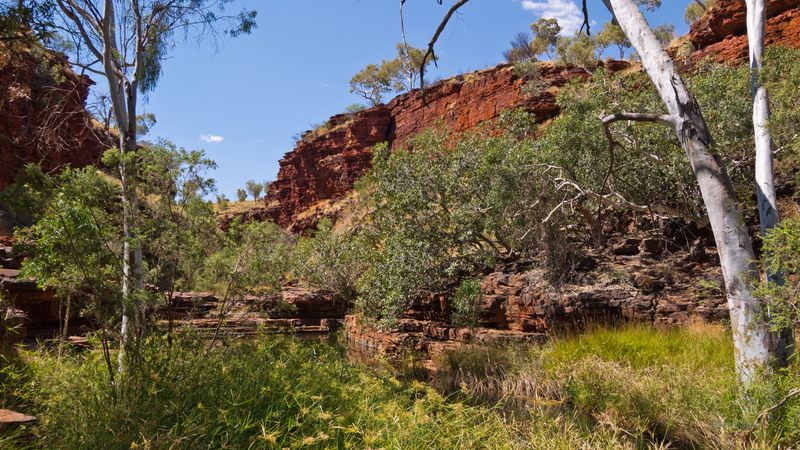 Thousands of kilometers of remote and difficult outback. Many people fly back to civilization. But a select few of us chose to finish with the bus back. The tour company has to retrieve their vehicles, so they offer pretty cheap seats to cover the 2000+km distance back to Perth. We had a very long set of 3 days ahead of us. My first full day in Broome was relatively uneventful. I wandered the streets of the town, relaxed in a cafe and figured out my plans for the next day. In the evening I returned to the hostel where a few of us were staying. There, one person from the tour and I decided to go see a movie in town. 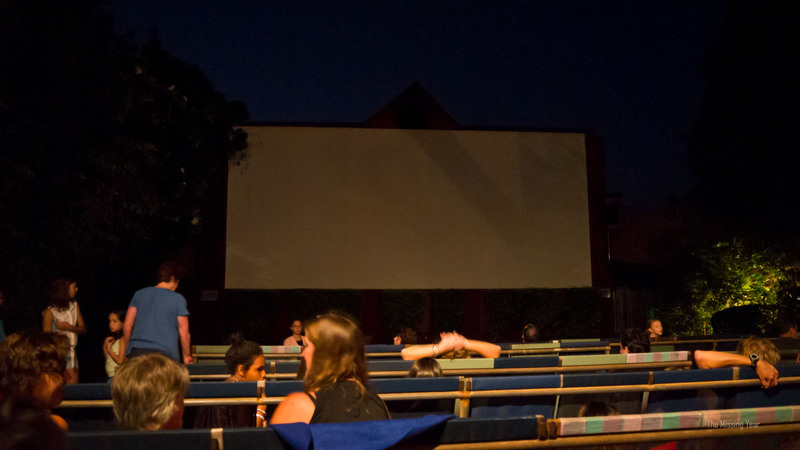 But this wasn’t to be at any old theatre, this would be at Broome’s deck chair cinema. By mid-day we departed from Karijini National Park. 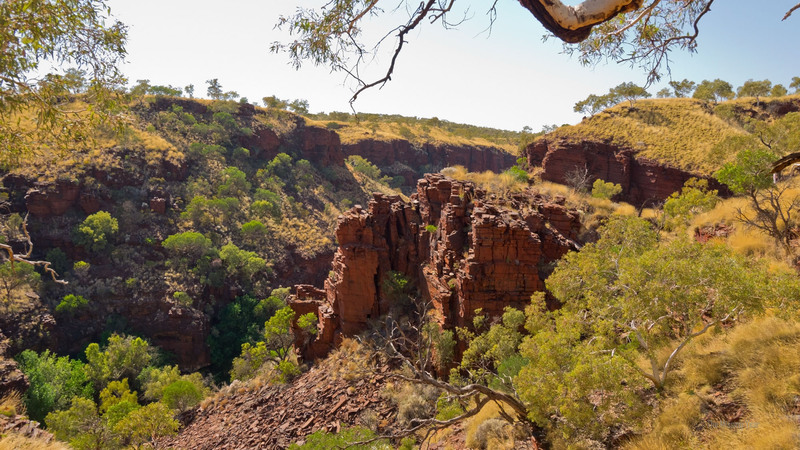 I honestly had a fantastic time exploring the gorges – it is such a remote and difficult to reach part of Australia that few get to see it, and it’s both a shame and a blessing. It’s too bad many won’t see one of the more spectacular regions before it succumbs to mining (there are extensive operations in the region, even in the NP), but it was great to be in a place that we largely had to ourselves. It’s the remote, peaceful exploration that really makes you feel miles removed from EVERYTHING. I wasn’t able to get a great picture of the surrounding areas, but as we left the park I took a quick snap of the low mountains we had driven through. The next morning came and we packed up our gear. 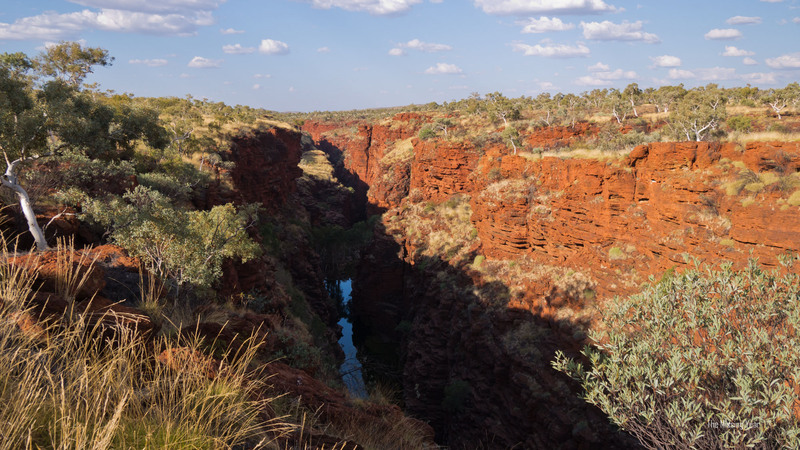 We were taking off towards Broome once again, with one final hike and swim in Karijini. This time we’d be visiting the majestic Fortescue Falls in the Dales Gorge. Bright and early the next morning saw us descending into our second gorge in Karijini – this time it was down to Knox Gorge. We’d be spending the entire morning here, hiking and swimming. This was the primary reason I was on this tour. Karijini National Park. Situated high up in the middle of nowhere (NW Australia), the region is rife with iron and is being heavily mined (even the National Park). Still, there is scenic splendour to be found here.